We find few things more rewarding than helping early-stage and small companies and nonprofit organizations have communications every bit as impressive and effective as their much larger competitors. Even cooler: Our clients use our services to accomplish great things we hope you’ll take the time to check out. NewWayToClean.com One of the fastest growing direct-sales businesses in the United States is green-cleaning company Norwex. Since becoming an independent consultant in 2008, Minnesota-based Senior Vice President Sales Leader Pam Altendorf has built one of Norwex’s largest sales teams. We help her deliver to nearly 10,000 Norwex consultants professional training and an array of business-development tools. They log into a password-protected site we have built and maintain just for them with engaging content, online learning and professionally designed sales materials. Dr. Terry Levy, director of the Evergreen Psychotherapy Center and Training Institute, delivers professional training in Tokyo, Japan. Evergeen Psychotherapy Center Colorado-based psychologist Terry Levy is world-recognized for his pioneering work in the field of attachment and trauma therapy. With Media Salad’s help, Mr. Levy shares his expertise with fellow therapists and families worldwide via social media and the psychotherapy center’s website. 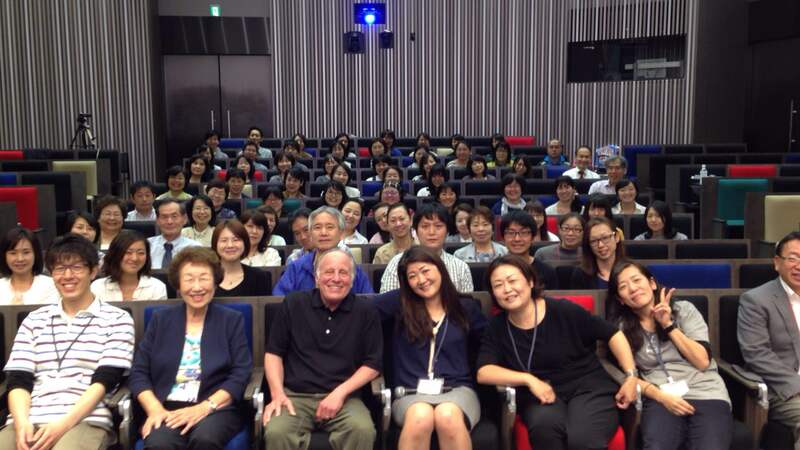 For years, he has led professional training for therapists around the world — and recently was instrumental in the launch of the Attachment Treatment and Training Institute of Japan. TruTeller.com We recently worked with more than 20 public agencies in rural Teller County, Colorado, to launch a website aimed specially at engaging teenagers. Working with input from dozens of middle school and high school students, we created a website where young people can find out about local events and educational opportunities — and also learn more about their peers who are doing amazing things. TruTeller is a work in progress: The Media Salad team is developing a training program to empower youth to manage the website — and we look forward to reporting about that soon.